The 21st Century ‘Gabbar’ Is Back! 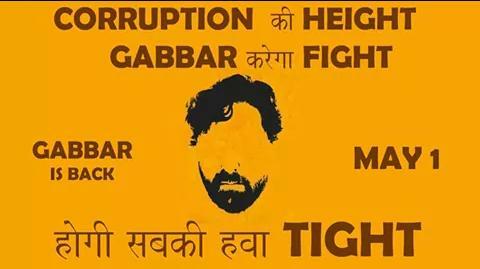 Join the Gabbar army and do your bit to fight corruption. 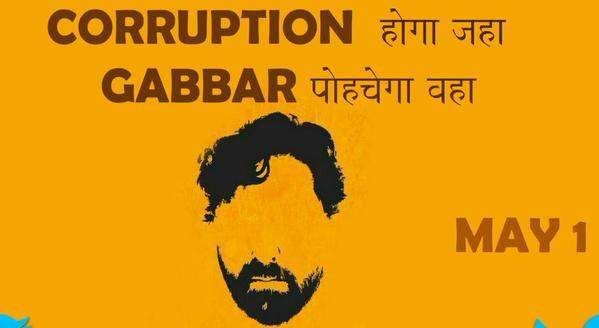 ’Gabbar is Back’ is directed by famous director from the South, Krish and produced by Sanjay Leela Bhansali and Viacom 18 Motion Pictures. Featuring Akshay Kumar and Shruti Haasan, the film is slated to release on May 1, 2015.